Lynde Greenhouse & Nursery has been serving the Twin Cities since 1896. In addition to our garden center, Lynde Greenhouse & Nursery offers professional landscape design and installation services. Our Wholesale Department offers bulk product at competitive pricing to retailers and companies. We also offer multiple fundraising programs including a spring program, a holiday program, and a Ticket to Green program. Residential/Commercial landscape & carpentry design and build company started in 2004 by Laura and Tony Westrude, specializing in complex outdoor living spaces in the metro area. 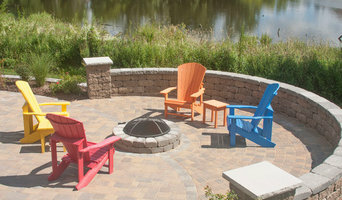 I have over 15 years of experience working as a landscape architect in Minnesota. My experience in landscape architecture and site design draws from completed projects in a number of urban centers across the metro area and regional parks in outlying counties. Much of this work defined strategies for neighborhood revitalization and economic development organized around engaging public spaces, with an emphasis on transit and mixed use. Central to this planning approach is the determination to provide authentic, genuine places for people to gather, to conduct business, to call home. In addition to working on larger scale urban projects, I also have experience working in the Design/ Build landscape industry and therefore can generate solutions to problems quickly and effectively I bring valuable experience to both planning and detailed site design. My commitment to an inclusive and collaborative approach, including active client participation, is key to the successful implementation of all of my projects. I work with the latest CAD tools and other computer programs, so I have the ability to easily coordinate drawings and details with engineering and architectural offices whenever necessary. I currently reside in “Nordeast” Mpls with my wife Katie, and our two kids Ivan and Wilhelmina. I look forward to working with you! Lovett Planters & Garden Design offers a unique and talented eye for your containers and gardens. We strive to create that "WOW" factor for your yard, entrance, and patio. Specializing in seasonal container work and decor for commercial and residential properties. Anderson Design / ErosionZ. Minnesota Landscape. REVIEW MY PROJECTS BELOW. Tad Anderson Landscape Design offers award-winning, custom and creative landscape design and construction services. Design-build serving Minneapolis and the Twin Cities Metro area. Projects include Minnesota and Wisconsin. ErosionZ archival art prints shipped worldwide. Anderson Design creates patio settings, pool settings, deck settings, outdoor kitchens and entertaining areas, fireplace settings and gathering spaces, courtyards, retaining walls, stone walls, paving work, paver driveways, water features, planting design and planting installation. Landscape contracting, landscape construction and custom commercial and residential services since 1978. Tad Anderson's original digital paintings are available as archival prints. I\E\E is the landscape practice of OOIEE, a cross-disciplinary office that works on projects related to contemporary art and design. We are interested in exploring the poetics of space and and it's relationship to the objects and ideas that help to create it. Great environments can help us to grow into ourselves. Simplicity comes after complexity not before it. Award winning landscape architecture, since 1973. Creating stylish, natural spaces for people to gather in and enjoy; patios, swimming pools and water features, perennial gardens, pathways, stone steps and prairies. Midwest distributor for HSP Garden Buildings UK - <a rel="nofollow" target="_blank" href="http://www.hspgardenbuildings.com/">http://www.hspgardenbuildings.com/</a> Ron brings 30 years of hands on experience in the field and a keen eye for detail. His speciality is creating Landscapes that are dynamic, durable & beautiful. He accomplishes this by using the newest/best technology in drainage, irrigation and soil science, as well detailed craftsmanship and plantmanship. Ron is a Licensed Landscape Architect in Minnesota and California. He formed Ron Beining Associates in 2005 a few years after his return from San Francisco California and completing a 5 year Restoration of the Lawrence S Donaldson Home here in Minneapolis. While in California he was involved in both Public and private sectors projects in California, Montana and Hawaii. His childhood years were spent in, on and around farming in Wisconsin. This shaped his appreciation and understanding of the natural world. Guided by his grandfather’s love of plants and passion for conservation of natural environments, adding his always observant eye and his limitless energy he began manipulating landscapes at an early age. All of this, his world travels and varied life experiences have crafted a designer with an eye for detail and penchant for rich substantive materials. Landscape Designer/ Consultant for the Northfield, and south metro area. Specializing in new construction, custom outdoor living, and residential design. At Maple Crest Landscape, our goal is to exceed our clients expectations in quality, value, and service. We provide landscaping services with the values of honesty, integrity, craftsmanship, and commitment to excellence. Going the extra mile has built many relationships with our customers that we will continue to value. You can count on us to discuss the pros and cons of any aspect of your job, to be sure we get it right, the way you want it. We will work with your budget and needs to create a work of art. Look around our website, we would love to answer any questions that you may have. 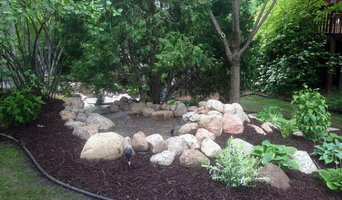 Sage Landscape Design provides personalized landscape design, installation and garden maintenance.